Temperatures have dropped below freezing this week in Vancouver and so drivers and pedestrians should be wary of black ice on roads and, especially, bridge decks. Often, motorists are not cautious enough of ice and can quickly lose control of their vehicle. Even experienced drivers and vehicles with good tires are at risk. Many people drive more cautiously when it snows, but do not drive with the same caution on a potentially icy road. 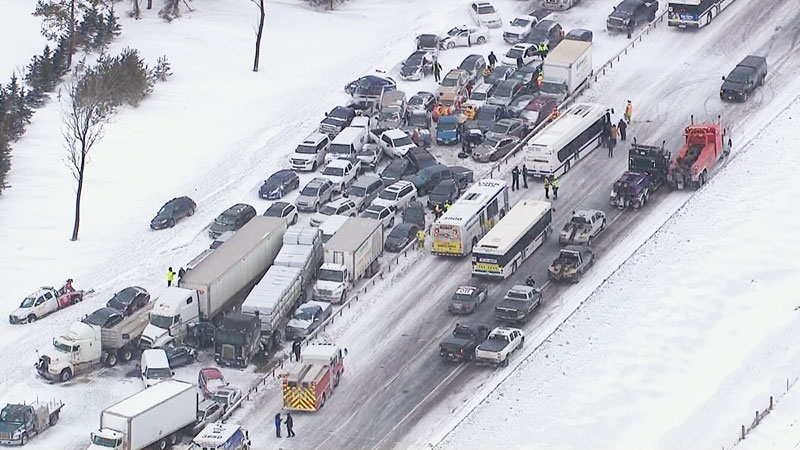 Elsewhere in Canada, there have already been many accidents caused by icy road and winter weather conditions. Yesterday alone there were three multi-vehicle accidents leading to numerous injuries and hours of delays. Even if you are driving carefully, the person in front of you could lose control of their vehicle. If you don’t have enough space to stop carefully, you could be injured too. If you are driving as the temperature is near freezing, leave extra space ahead of you so that you can stop safely if you need to. In almost all situations, a driver must be able to stop safely for any reason. The safest thing is to drive a little slower than usual so that you won’t have to slam on your brakes and risk losing control of your vehicle. If you are involved in a multi-vehicle accident on an icy road, an experienced personal injury lawyer will be very important to help establish your claim and ensure you are not held liable for a collision that was beyond your control. Although they will not guarantee your safety, having appropriate winter tires will help you keep your vehicle under control. If you cannot avoid an accident, ICBC and the courts will consider whether your vehicle was properly equipped for the conditions. If you are a driver, passenger or pedestrian who has been injured in an accident because of icy road conditions, it is important to speak with an experienced personal injury lawyer. John Mickelson Law Corporation can help you acquire financial assistance and medical treatment. Our ICBC lawyers have the experience needed to maximize your personal injury settlement. Call us at (604) 684-0040.